The concept of single sign-on has been captivating IT organizations over the past decade. With an explosion of web applications demanding new user accounts, the average user has dozens of accounts that they need to remember. Not only does that create friction and frustration for end users, but it also scares IT admins. The chances are high for one of those accounts getting hacked and being leveraged for access to confidential corporate data. A new generation of solution is tackling this problem by trying to integrate all of an IT organization’s resources. 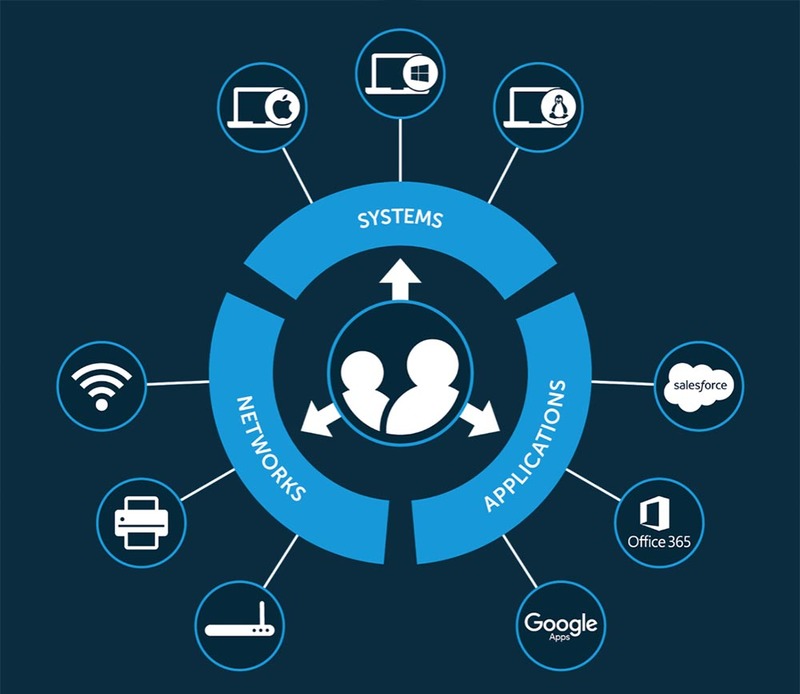 In short, modern IT organizations are leveraging the Identity-as-a-Service function called True Single Sign-On™ to enable user productivity and IT security. The concept of single sign-on goes back awhile. In fact, we may have been closer to a True Single Sign-On approach fifteen years ago than we are now. In the early 2000s, the IT infrastructure was virtually all Microsoft Windows and located on-prem. When a user logged into their computer while on the network, it was really a ‘domain’ login. The domain controller would verify user access with Microsoft’s Active Directory®. Once admitted to the network, the user would then have access to their approved resources. The network login credentials enabled access to the network itself, their laptop or desktop, Windows files servers, and applications. Of course, if there were any resources off-prem or non-Windows, those would be a little more difficult to include into the single sign-on approach. As web applications emerged, so, too, did a new generation of cloud identity management solutions. They were built on top of Active Directory and federated access to a wide variety of web applications using the authentication protocol SAML. The idea was that AD would be the core identity provider while the IDaaS solution would connect with web applications. This approach worked for a while as the core infrastructure remained on-prem and was Windows. Unfortunately, that’s not the way that the IT market evolved. MacOS and Linux became popular operating systems and cloud services, such as AWS, Google Apps for Work (now known as G Suite), and Microsoft Office 365 surfaced, thereby rendering Active Directory obsolete. As organizations sought an Active Directory replacement, IT admins wanted a unified cloud directory service that securely managed and connected to systems, applications, and networks. In a sense, they wanted to go back to a True Single Sign-On solution, but in the modern heterogeneous era. This Identity-as-a-Service solution is often referred to as Directory-as-a-Service®. As a centralized user management platform, the cloud directory is independent and cross-platform. In addition, the identity management platform leverages multiple protocols to provide access and is location agnostic. IT admins now have a central platform to control user access, and end users have a far simpler method to access the IT resources they need. 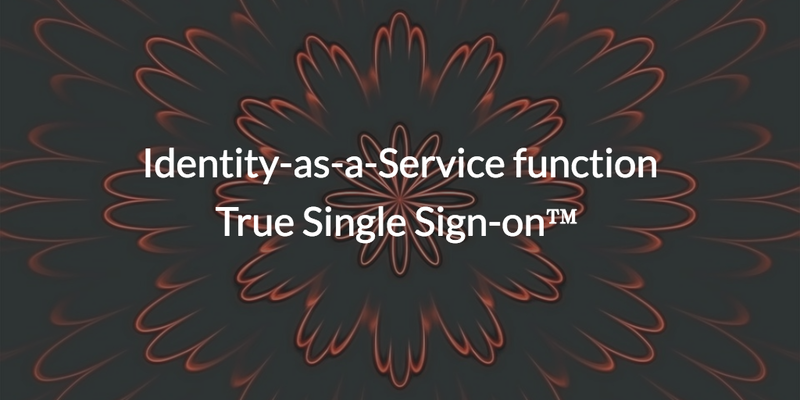 If you would like to learn more about the Identity-as-a-Service function True Single Sign-On, drop us a note. Sign up for a free IDaaS account to give our unified cloud directory a try. Your first 10 users are free forever.